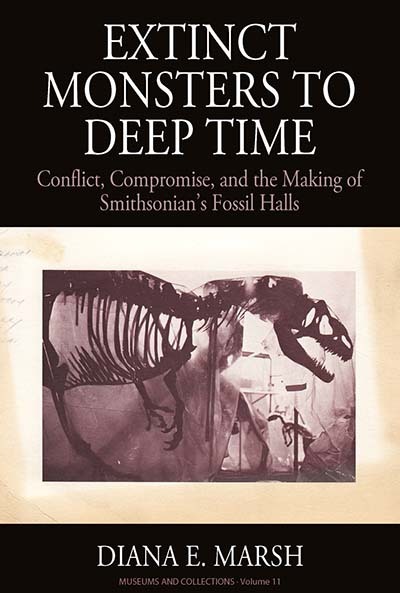 Extinct Monsters to Deep Time is an ethnography that documents the growing friction between the research and outreach functions of the museum in the 21st century. Marsh describes participant observation and historical research at the Smithsonian’s National Museum of Natural History as it prepared for its largest-ever exhibit renovation, Deep Time. As a museum ethnography, the book provides a grounded perspective on the inner-workings of the world’s largest natural history museum and the social processes of communicating science to the public. Diana E. Marsh is a research anthropologist and museum practitioner who studies how heritage institutions communicate with the public. She is currently a Postdoctoral Fellow at the National Anthropological Archives at the Smithsonian’s National Museum of Natural History, where she is working to increase the accessibility of archival collections.